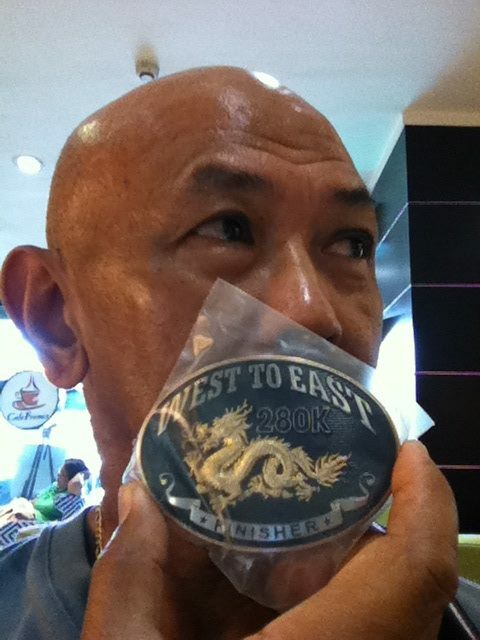 1st “WEST To EAST” 280K Ultra Marathon Race: The Longest Solo & Single-Stage Ultra Marathon Road Race In The Philippines. 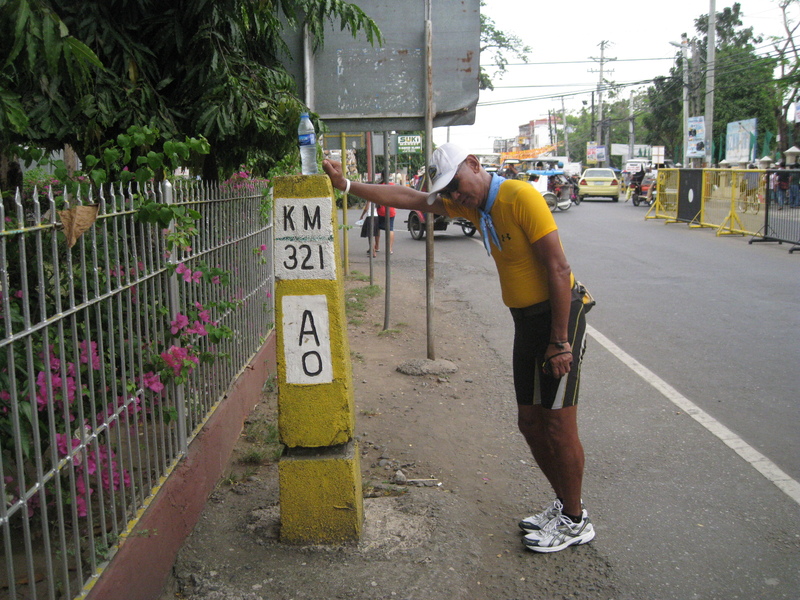 I had my lunch, rest and sleep at the Caltex Station in Barangay Banog Norte, Bani, Pangasinan. I found out later from the owner that the place is called Prima Vista. The place has a restaurant, nice garden, Nipa Huts, clean Rest Rooms, and Gasoline Station. I had a brief conversation with husband-wife owner of the place. 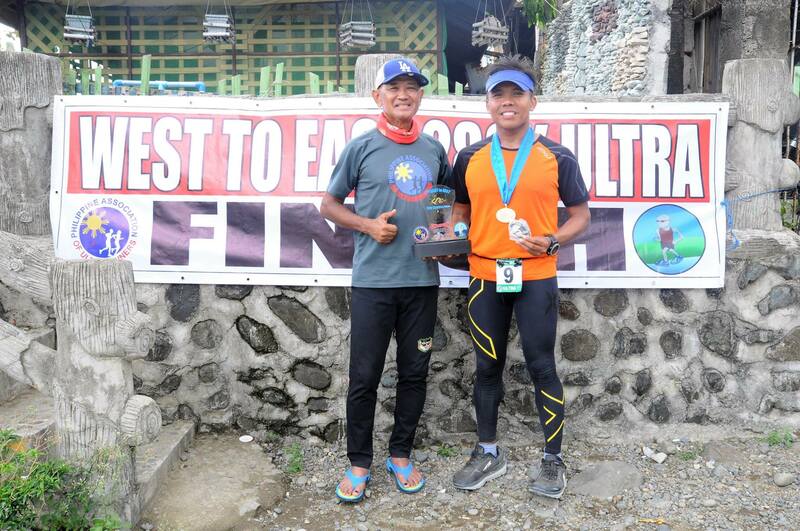 And they are nice and hospitable and they are both graduates from the Colleges in Baguio City. 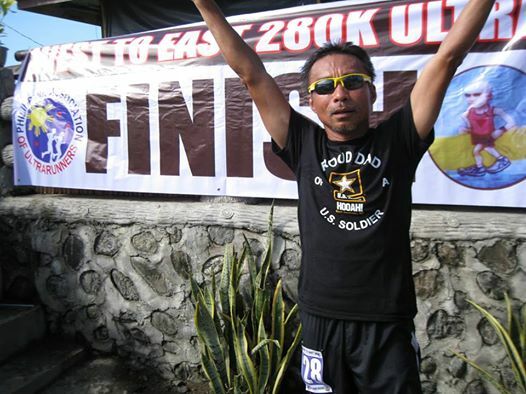 I told them that I am also a graduate from Baguio City and had been assigned in the area in the late 70s and early 80s, and then later as part of my Area of Operations in the 2003-2004 when I was a Brigade Commander. 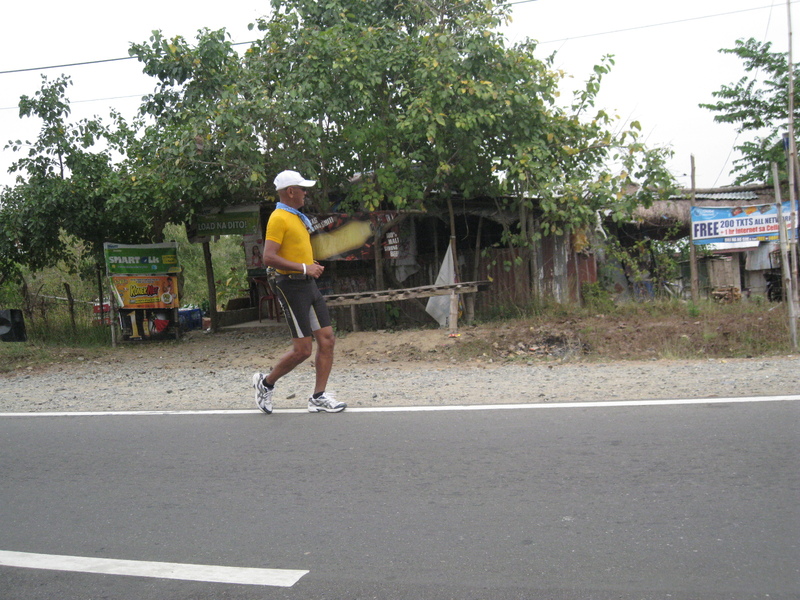 Now that I am retired, I am revisiting the area by running from Bolinao up to Mangatarem, Pangasinan. They wished me good luck. These guys are great, too! kilometers were hard on my left knee because the pain was still there but I maintained my Galloway ratio of 20:5 on the level/flat parts of the road but had to disrupt the ratio whenever the road goes uphill. 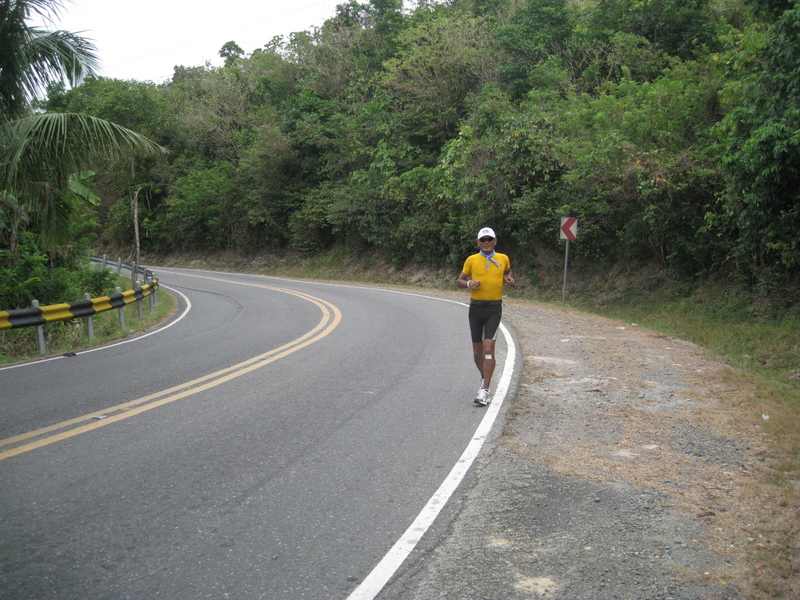 I had to force myself to brisk walk on uphill portions of the road whether it is runable, steep, or medium-steep grade. After 1 ½ hours, I was able to reach the Poblacion of Alaminos and there was traffic on the main thoroughfare, Quezon Street, with vehicles as well as pedestrians who are students coming from the different schools at the center of the town. Those high school girls were giggling whenever they see me approaching them and I was surprised to know what could be the reason why they are laughing at me. Some bystanders would ask me where is my bicycle is and why I am not riding on it. Hmmm. 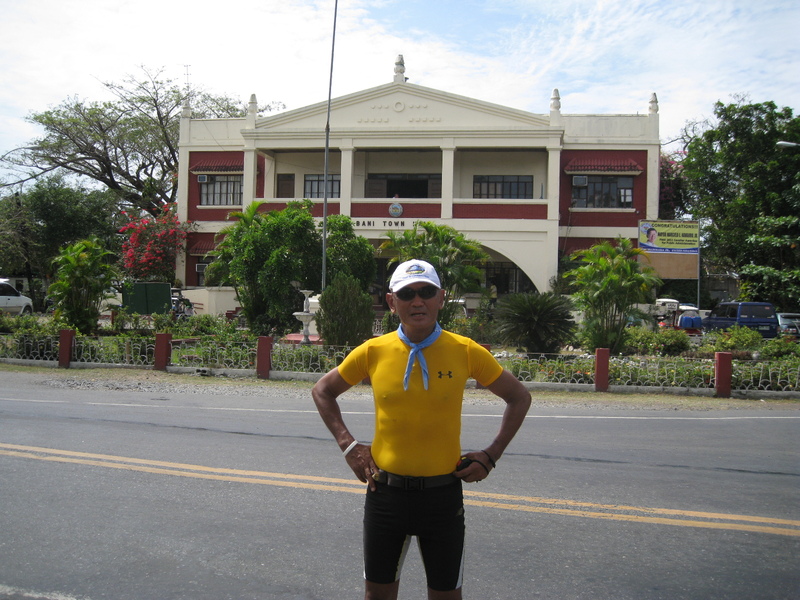 I concluded that most of the people in Pangasinan identify a cyclist if he is using a compression/biking shorts! And those girls were giggling because they might think that I lost my bicycle and I caught them looking on my crotch area! Well, it could be the latter observation why these young girls were laughing at me. 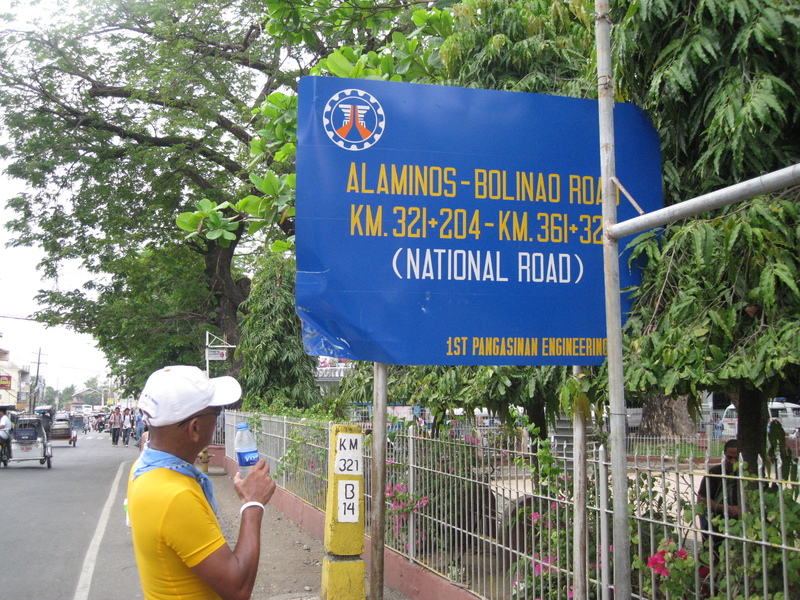 I walked the stretch of 2 kilometers which is the whole stretch of Alaminos’ business area along Quezon Street. I tried to run and jog while there was still pain on my left knee but he pain was still tolerable. At this point, I was able to cover a distance of 50 kilometers but the surrounding was still bright and I wanted to be on the road until it was totally dark. 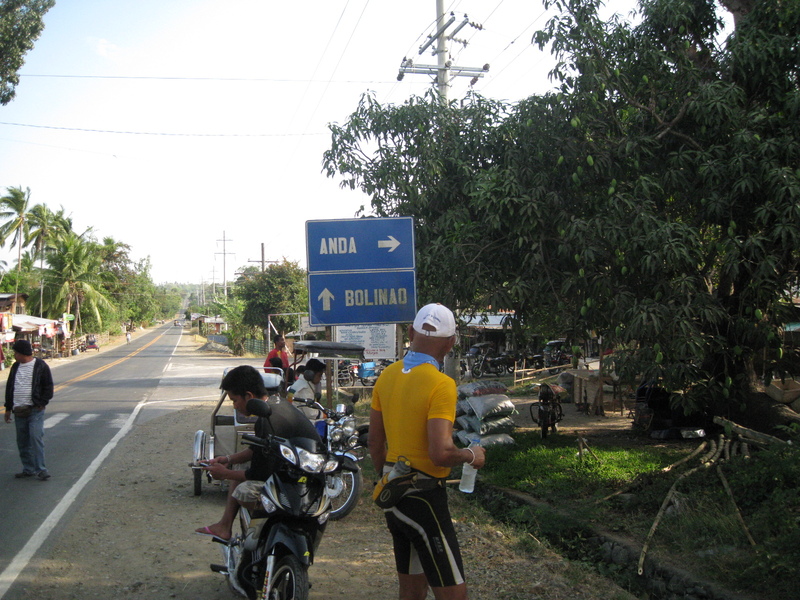 My final goal was to reach the Poblacion of Sual which was 16 kilometers away! I made my rough calculation and it would not be possible to be running in the dark as I approached the zigzag road before Sual’s Poblacion. I tried my best to run, shuffle and walk until I could feel exhaustion on my body and tried to observe the pain on my left knee. 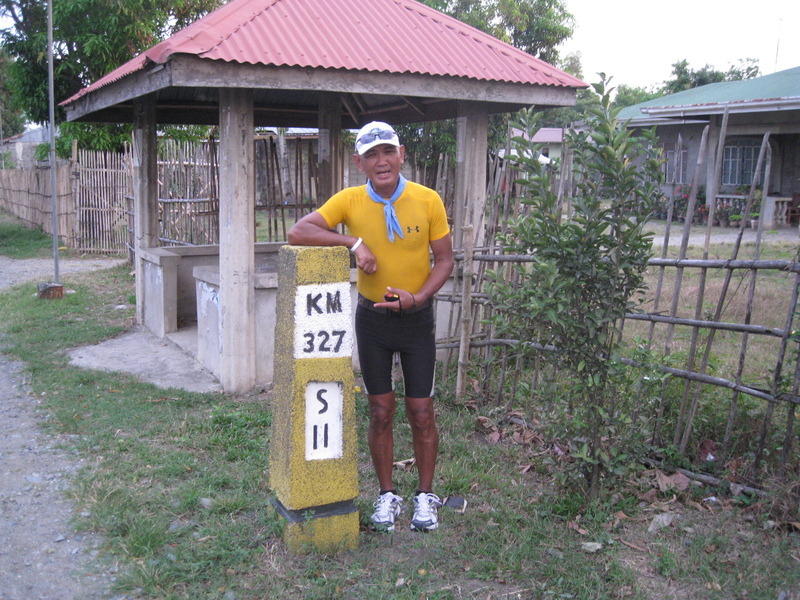 Before sunset sets in, I decided to end my run for the day at Km Post #327, 11 kilometers away from Poblacion of Sual. My left knee needed some rest and we still need to look for a place where we could sleep. 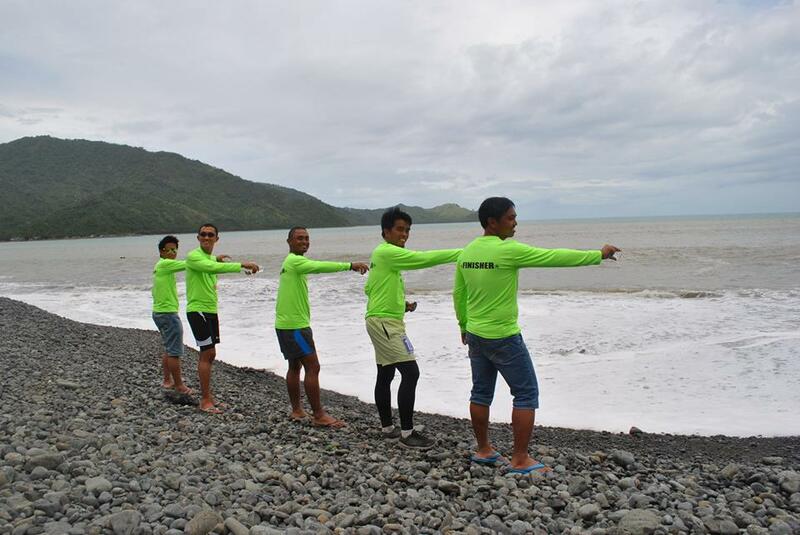 With the recommendation of the owners of Prima Vista, Covelandia Beach Resort was the place to look for a rest overnight! 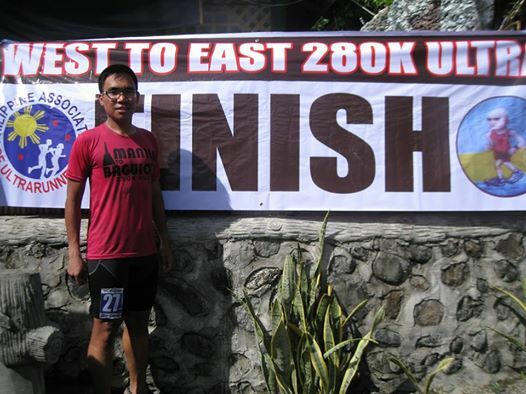 I was able to cover a distance of 55 kilometers with almost 9 hours of actual time with my feet on the ground. It was a nice run as a part of my training for endurance and heat training. My left knee was able to hold on due to my regular intake of Tylenol Tablet 500-mg every 3-4 hours. (Note: I took only 3 tablets for the whole day!) My water hydration every 2 kilometers; Gatorade Drinks every 1 ½ hours; and constant intake of solid foods were perfect for my nutrition and “feeding” of my body. 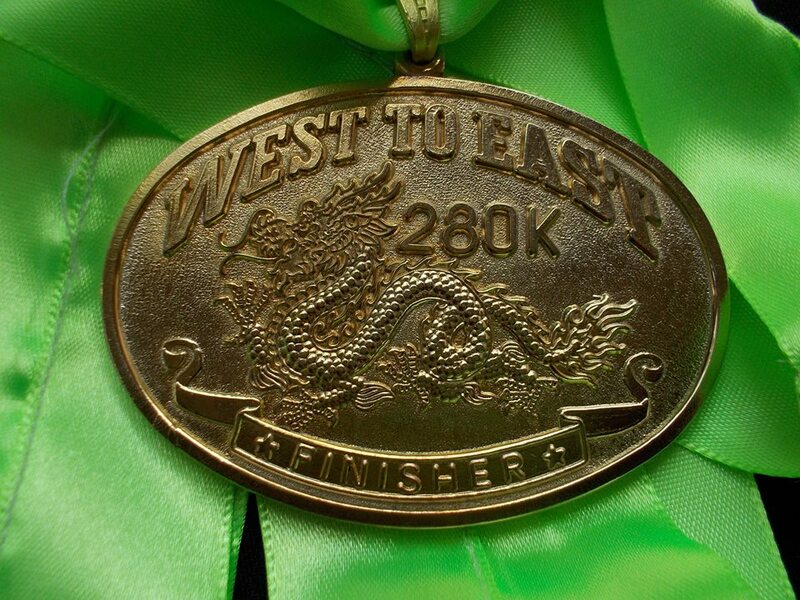 I made sure also to urinate at least once every hour during the run. My salt intake for the 1st day came from the Pork Adobo and Sinaing Na Tulingan (cooked with salt, pork fat and dried kamias fruits) I ate for dinner at the COCOS Beach Resort. These foods were part of our “baon” for the running adventure. After dinner at the Covelandia Beach Resort and a massage from my support crew, Marlon, I was already sleeping soundly at 9:45 PM. Weather: Cold in the morning with breeze; Sunny & Hot at mid-day and getting cold in the late afternoon. Low at 26 degrees Celcius to High at 36 degrees Celcius. The cottage has a tiled and clean veranda that I had to walk barefoot on it and the room which elevated is clean. I said, “Cool”, this place is nice. It has a place where the occupants can cook and a bamboo dining was also there with plastic chairs. My haggling for the price ended up to P 1,800.00 when I told him that I will be leaving the place before 6:00 AM the following morning. (I guess, he was able to glance at my “Bull Ring”! hehehe!). After paying him, I requested Mang Ador to cook for us our Rice for our dinner which he charged us with P50.00. Our conversation resumed as I tried to get more information about the place. 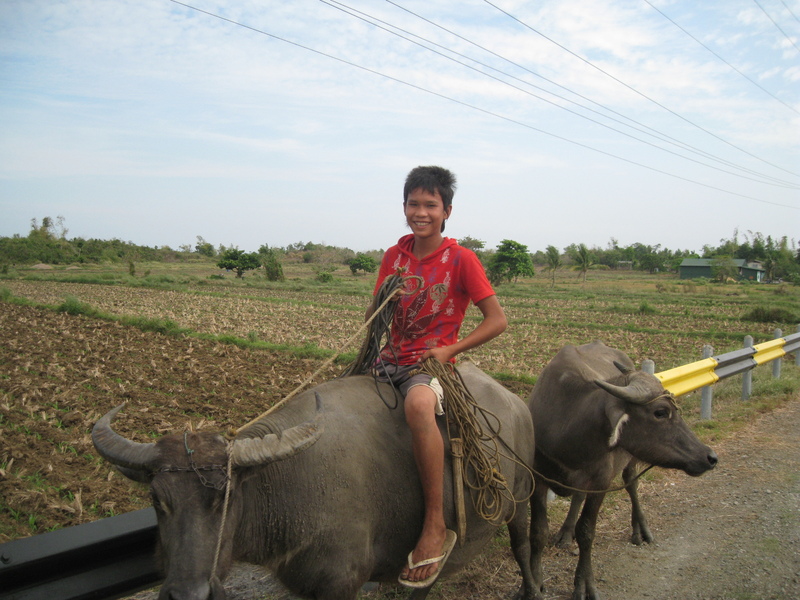 Still talking in Ilocano but I have to translate the conversation in this post to English. BR: Who owns this place? Mang Ador: He is a foreigner, from Sweden! BR: A Swedish? 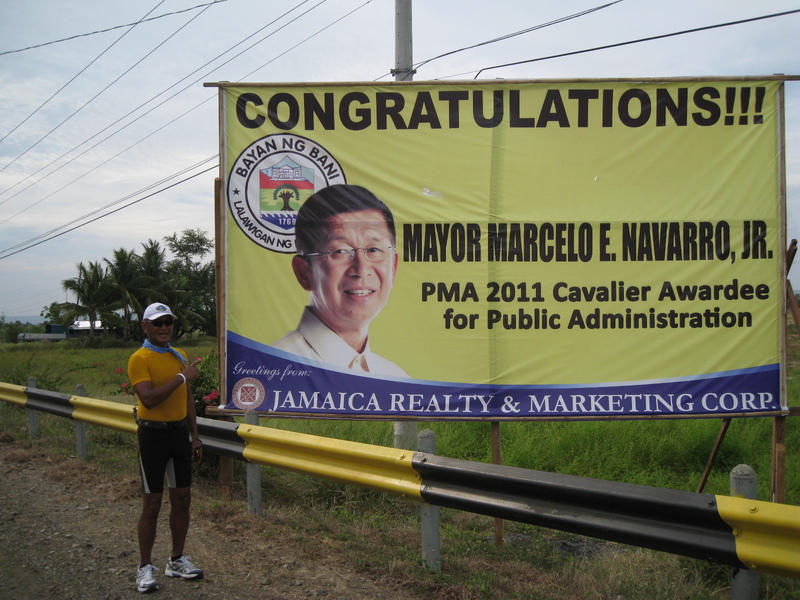 I am sure he is married to a Filipina from this place. Mang Ador (MA): Yes, you are right. BR: How did you end up as the Manager of this place? MA: I was the one who endorsed this place for the Swedish and his wife to buy as they had been looking for a place where they could develop a beach resort. BR: So, you were the realtor of this place before it was purchased. How much was your “commission”? MA: I did not get any commission but the wife told me that she and her husband would designate and assign me as the “Manager For Life” and my family would stay with me here in the place. BR: Wow! Cool! That’s the best deal. MA: Yes, money could just be spent in a few weeks or months but the future of my family is already settled. BR: So, your wife and children are the ones that maintain and secure this place. MA: My wife died already. And I am happy that I have 8 children who are helping me here. BR: Did you marry again? MA: Never. But I have a girlfriend! BR: A-ha! I guess, she could be half of your age, Mang Ador? BR: By the way, how old are you, Mang Ador? BR: 68? You look young and strong with such age. Mang Ador smiled at me. BR: How much do you receive as your pay/allowance being the Manager? And do your children receive also some Pay/Allowance? 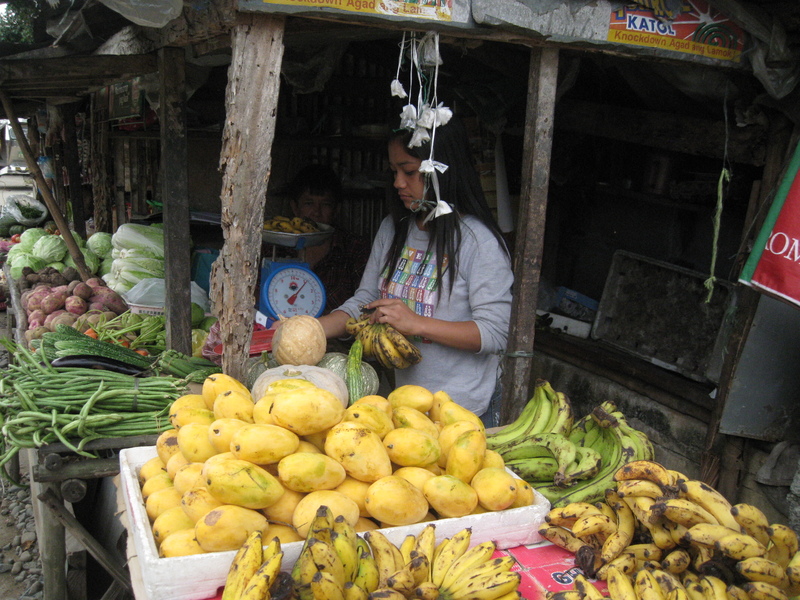 MA: I receive a monthly pay of P7,000 and my children who work here receive P3,500 each per month. BR: How I wish I could stay in those more expensive Beach Resorts up ahead but I just need a place to sleep overnight and your place fits my needs. MA: Oh, those places are very expensive! One regular room will cost you P4,500. BR: Well, maybe next time, I would be able to see those places. At 5:45 AM the following morning, I left the place and started my run. It was still dark and Mang Ador was still sleeping soundly knowing that he guarded us the whole night while we were sleeping. It was one of his sons who unlocked those padlocks on the gate of the compound when we finally left the place. 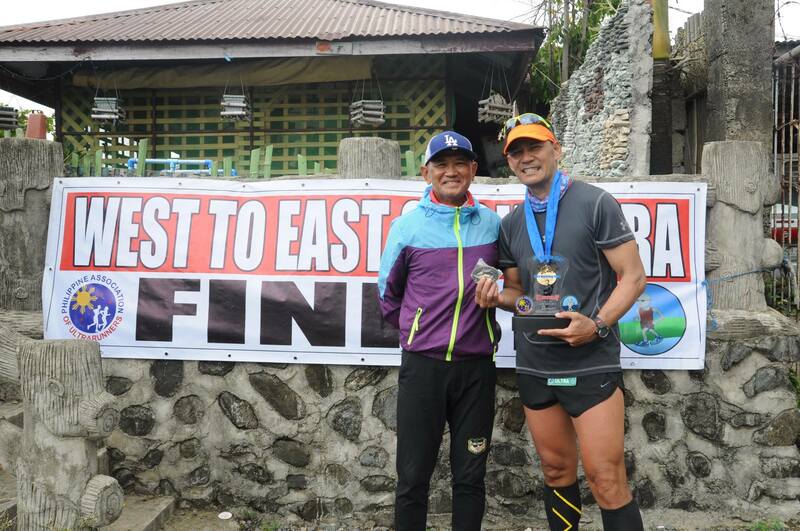 Mang Ador would never know that I was in his place to start another Running Adventure. 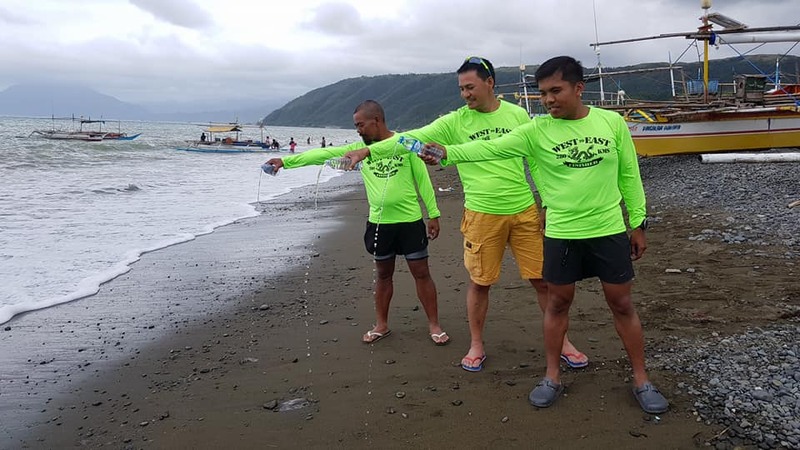 But knowing that there are great people in the province who are satisfied to be staying in the province with a peaceful environment, clean air, fresh food, and willing to give service to visitors, this is something that we are proud of. Living in the province is better than living in a stressful city/urban environment and I could see on the happy face of Mang Ador. The name of the place is COCOS Beach Resort! 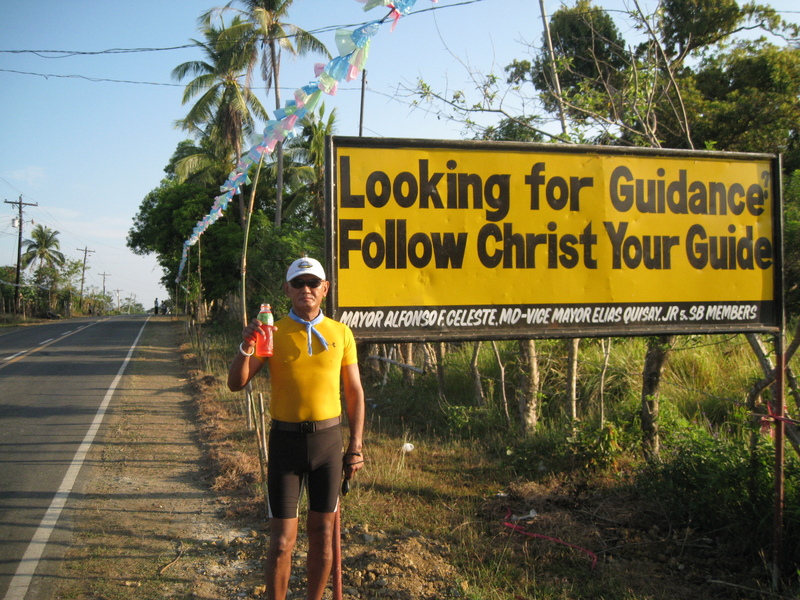 Look for Mang Ador and this guy is great! And the place is great, too! 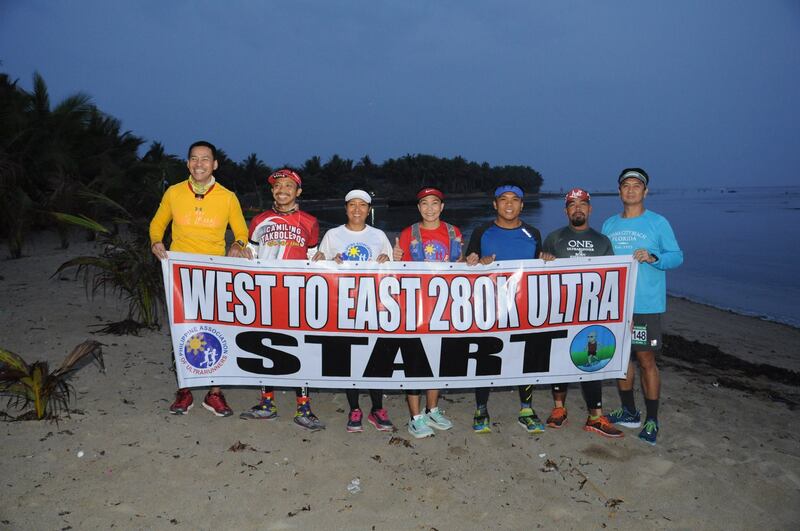 From Manila, my support crew and I travelled to Bolinao, Pangasinan at noontime and were able to reach the place at 4:30 PM after an easy cruising speed on the road. A brief tour of the small town followed where we tried to find a place to rest and sleep for overnight. After going to two places near the town, we decided to go the place where those nice beach resorts are located. One kilometer from the “more expensive” beach resorts are located, we dropped by a place which is very simple and clean. There seems to be no people in the area and we asked an old guy for questions of trying to find out where the administration office is located. To my surprise, the “old guy” is the administration office and the manager. Well, the price is cheap and we were the only customer in the place plus the basic amenities were all available. Mang Ador, the old guy was so accommodating that his sales talk was that the cottage we were going to stay was the same place where Jericho Rosales stayed a few days ago for a filming/shooting event to the point that there are posters stapled on one of the posts indicating that a filming group was there. 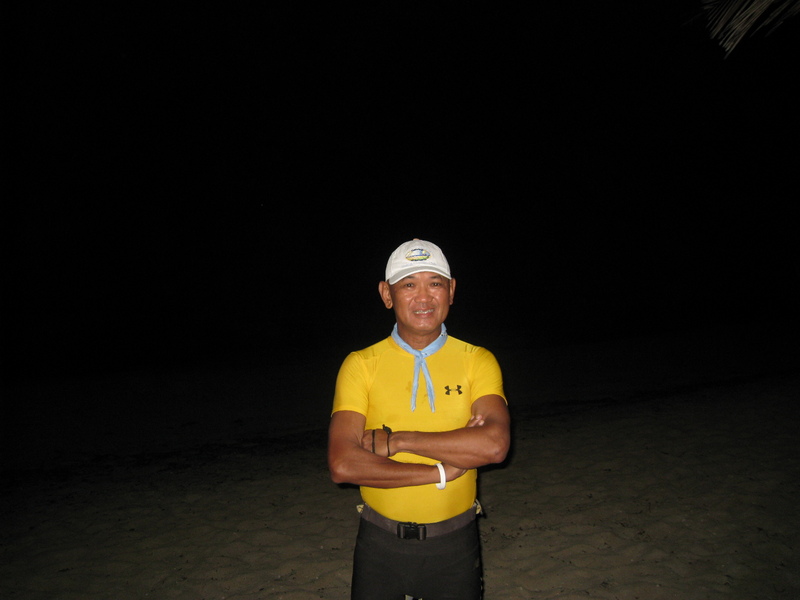 More stories and conversation with Mang Ador in my succeeding posts. We slept for the night and woke up at 4:15 AM on the following day, Tuesday. After scooping seawater along the beach, I was ready for my run and started from our beach cottage. It was still dark but the headlights of my support vehicle provided me with the much needed light along the cemented road that goes to the National Highway. It was a 9K distance and I made sure that this initial part of my run will be my warm-up! I adjusted my strides as short but quick in tempo and I was comfortable with the pace. Since I did not have a Garmin Watch, I depended on my hand held Stopwatch with bigger dial and numbers. I strictly followed the Galloway Method where I have to do 2-3 minutes walk after a 15-minute jog. I kept on shuffling making sure that I have a consistent short and quick movement of the feet. 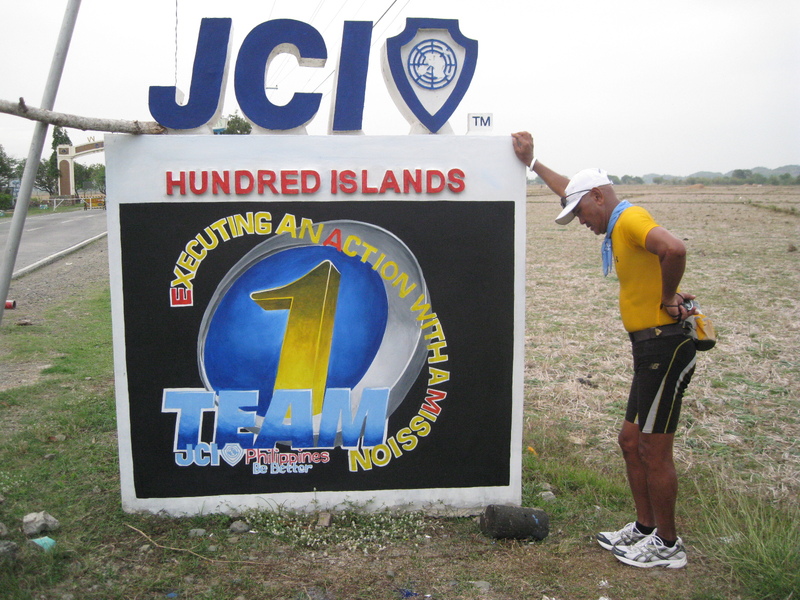 In one hour and 15 minutes, I reached the National Highway and it was already almost 7:00 AM. 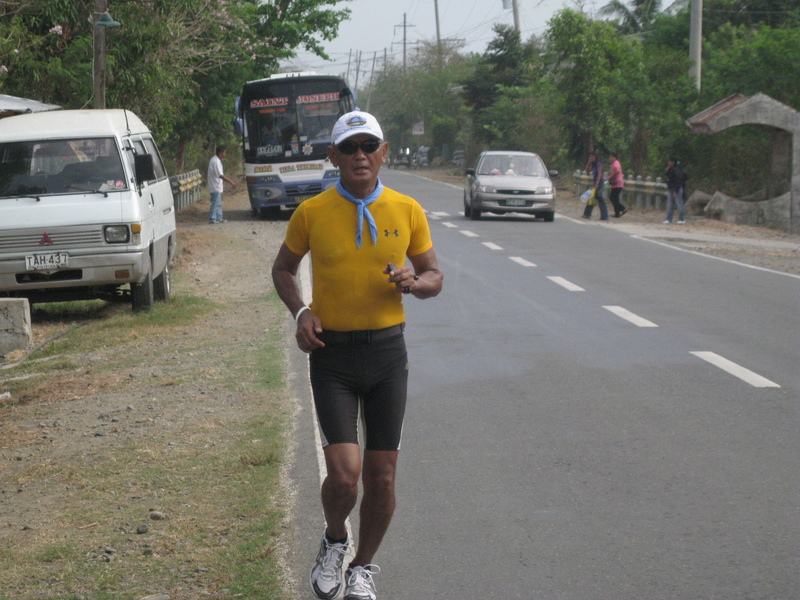 I stayed on the left side of the road, jogging and walking, making sure that I follow the Run-Walk-Run that I planned to do to conserve my strength on the later part of the day. 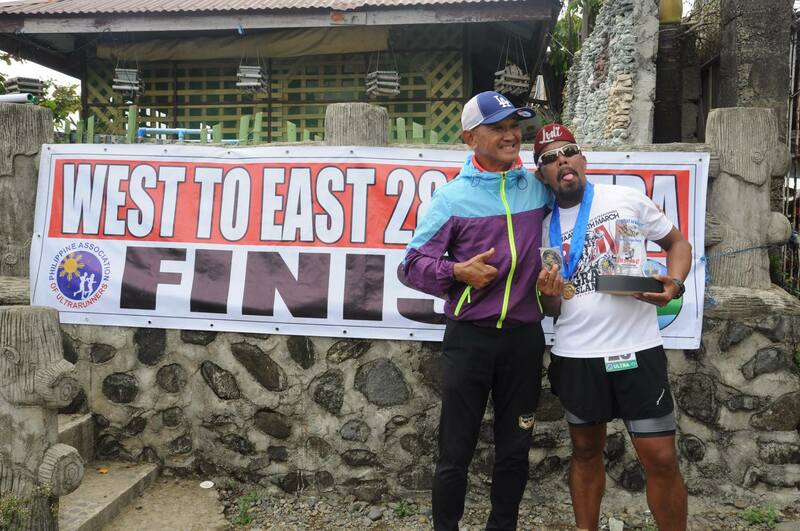 My plan was to reach Bugallon, Pangasinan which is a distance of almost 70 kilometers from where I started but as I progressed along the road and went through those rolling terrain and the heat of the sun to come, I knew it was just a wish. I thought that a distance of 50 kilometers for the first day was already enough to shake off my legs and observe how my body would react. Aside from the Galloway Method which I strictly followed, I also made sure to walk those uphill climbs no matter how steep is the climb is. If the road is ascending, it’s the signal and time for me to start my walking break. I did it religiously throughout the whole day. However, if the road is plain and flat, I still follow the 15:3 ratio for my Galloway Method. In my rough calculation, I was running at a pace of 7:30-8:00 mpk which is good for a LSD workout. I took time also to have my pit stops to drink and eat. I have to drink water every 2 kilometers where my support vehicle is waiting for me as I’ve instructed my support crew to be “leap frogging” me for 2 kilometers along the way. 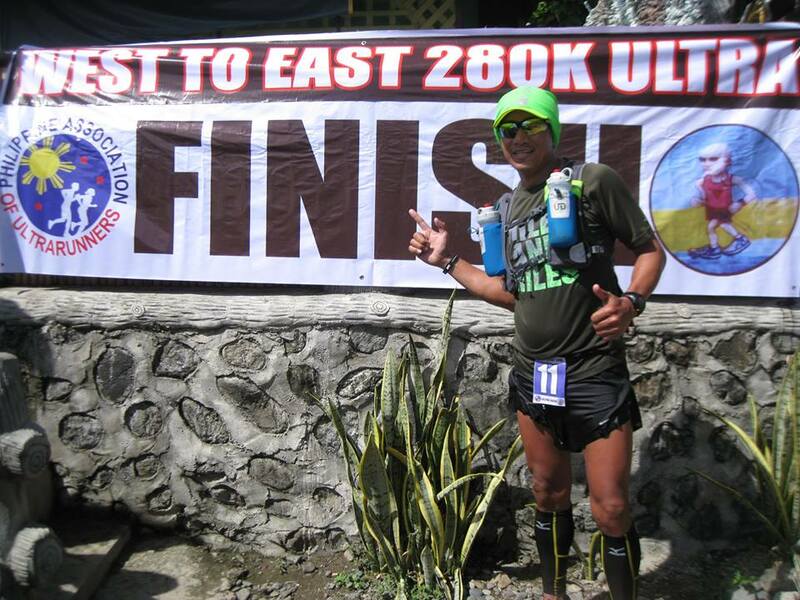 It was a constant and repetitive thing to do to drink a sip of water every two kilometers and it was a “must” in my strategy. For every 1 hour to 1 ½ hours, I have to drink one-half bottle of Gatorade. As for my food intake, I eat anything (Nature Valley Sports Bar, Chips Ahoy Cookies, and ripe bananas) and I don’t have any intention of taking in those Sports Gels. It had been my personal observation that it is better to eat solid foods in this kind of running workout. 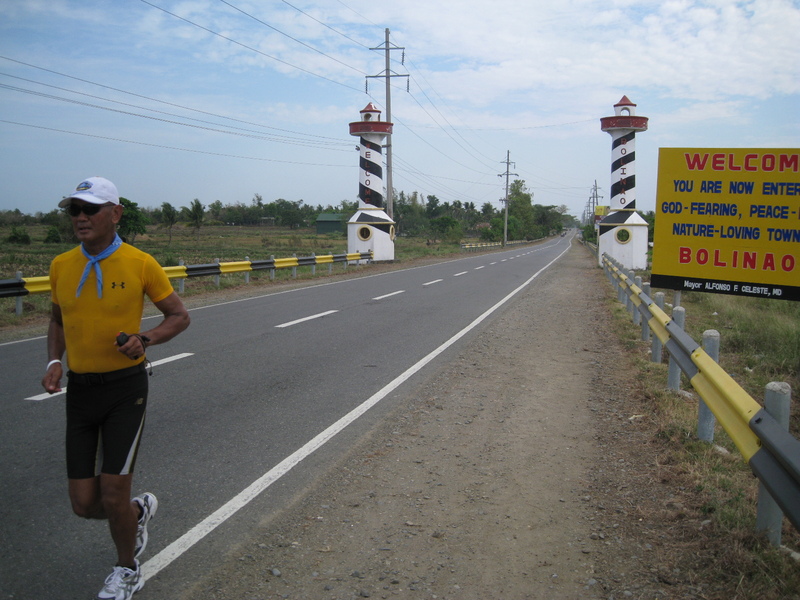 As I got nearer to the 35-km mark of the distance that I covered and about 2 kilometers away in reaching the town of Bani, Pangasinan, my left knee started to have pain. I was already running for 4 hours plus. I know this thing will happen as a result of the injury last December of last year. 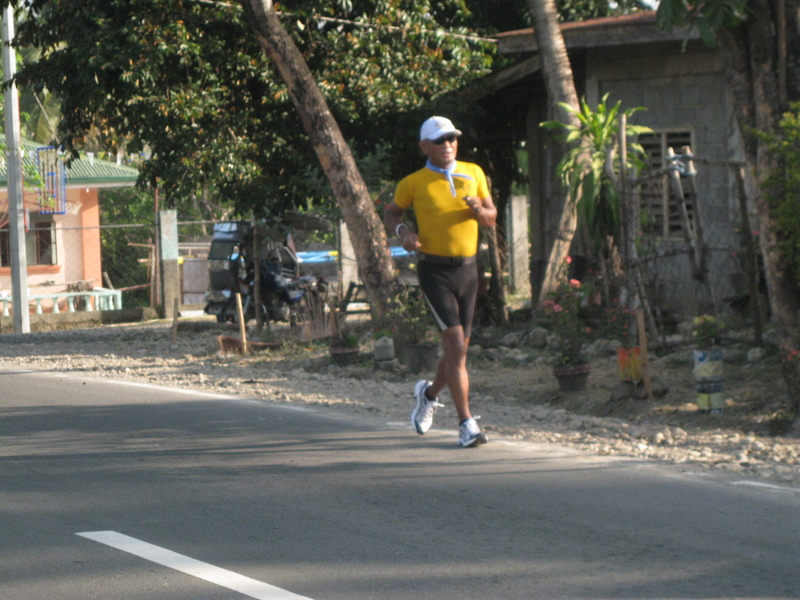 The heat of the sun was also punishing to the body plus the hot breeze/wind on the road were the ones trying to slow me down on the road. I have to walk some more and drink water. Every 3 hours from the start, I’ve been taking in one (1) Tylenol 500-mg tablet just to prevent and anticipate the pain that might crop up from my torn muscles in the past but my left knee just gave way. After 3 kilometers, I stopped for a brief rest which ultimately became my lunch stop at 11:15 AM. It was a blessing in disguise that the Caltex Gas Station has the amenities of a Rest Area ( a Restaurant, A Garden, Rest Rooms, and Bamboo Cottage) and a Wi-Fi but the Internet connection is still weak though! We stayed here for 3 ½ hours and I was able to sleep and rest after a lunch of Sinigang Na Malaga, Fried Chicken, and Calamares! The owners of the place were very kind and hospitable. Of course, they are Ilocanos. 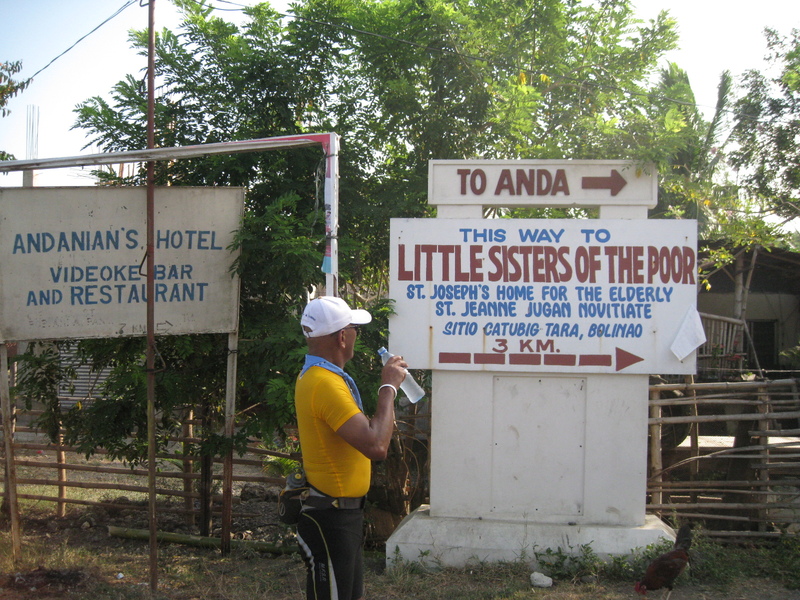 Later, I found out that the place is located in Barangay Banog Norte in Bani, Pangasinan. 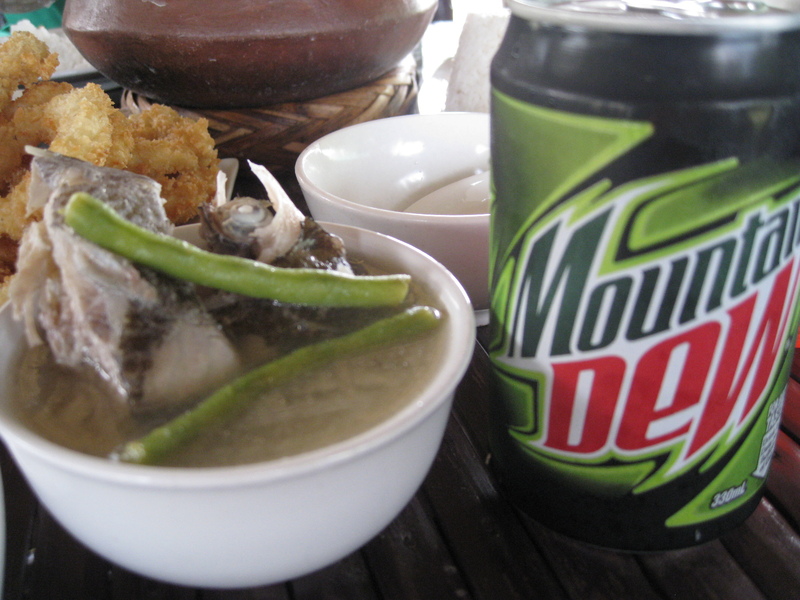 In Ilocano, “Ban-nog” means “tired”. It’s a fitting description of my present condition during the run! Yes, The Billboard Says It All. Always Believe in Him!